I just got back from my annual trip to Cape Cod. Every summer I rent a cottage on a lake and invite my friends and family over for a cookout, and I always pick one cocktail recipe to try out at the cookout. This year, my yummy drink of choice was a frozen orange creamsicle cocktail. 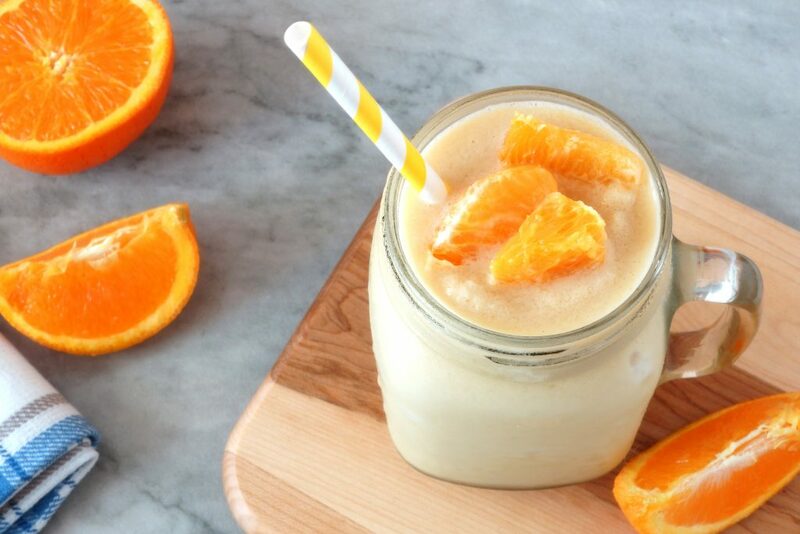 I blended Pinnacle whipped cream vodka, vanilla almond milk and fresh squeezed orange juice together with a handful of ice, topped it with a dash of whipped cream, and it was delicious! If you’re vegan, feel free to use coconut whipped cream for the topping. 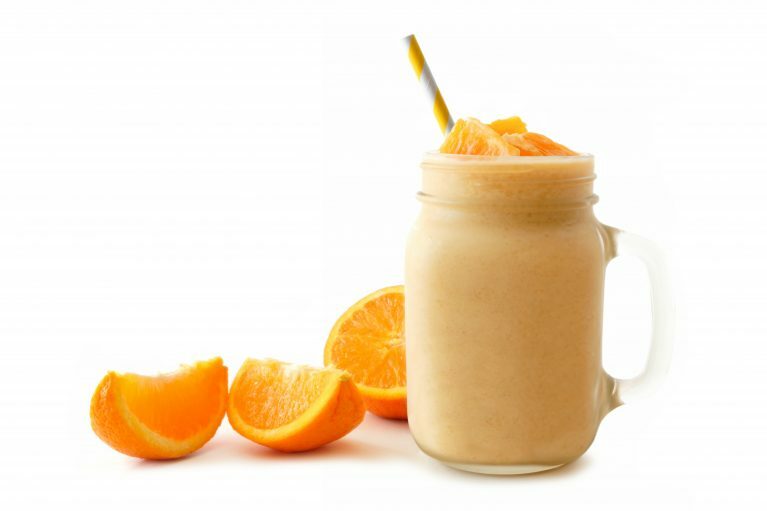 Combine orange juice, almond milk, vodka and ice in a blender with ice and blend until smooth.